Inder: Can you make one of those text change thingees so Combat Rock or CR is automatically converted to Combat Sock? I walked in and there was an incredible stench emanating from under this table. I lifted up the tablecloth and there was Joe Strummer, asleep, with these foul-smelling socks on. You see I told you all along it was rare. Not that rare. There were two of them. Do you see two in that picture? I would stay of the beer mate. Do you see two in that picture? I would stay off the beer mate. I saw Joe and The Meskies playing at a tiny venue in Leicester called The Princess Charlotte. It was a warm up for a festival gig that coming weekend (I believe it was the V Festival). One of my abiding memories from that gig was Joe rolling around the stage with no shoes on. He was wearing white sports socks (which I found a bit disappointing, not very rock n roll) and the soles were absolutely black with dirt. rudebhoy wrote: I saw Joe and The Meskies playing at a tiny venue in Leicester called The Princess Charlotte. It was a warm up for a festival gig that coming weekend (I believe it was the V Festival). Nice story. If i'm not mistaken there's another Meskies gig, on one of the US tours I think, in which Joe complains of none of the band having clean socks whereupon some member/s of the audience duly furnish them with said articles from the mosh pit. 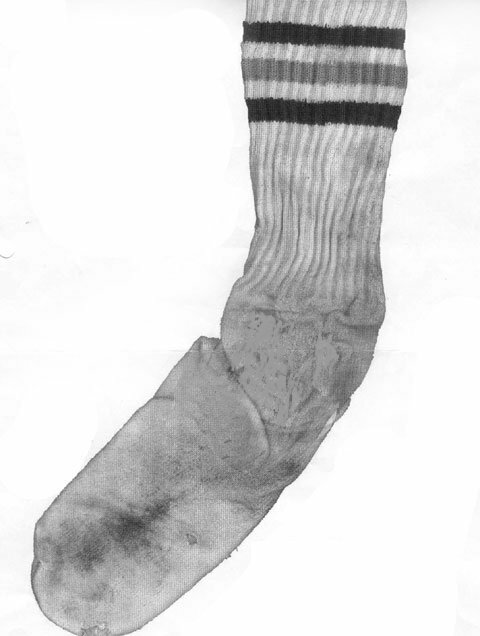 Socks and their condition of wear seem to be a recurring motif throughout Joe's stage life! Yes wasn't someone trying to sell a pair of Joe's dirty white socks? 101Walterton wrote: Yes wasn't someone trying to sell a pair of Joe's dirty white socks?